Crikey! Now that’s a preroll. 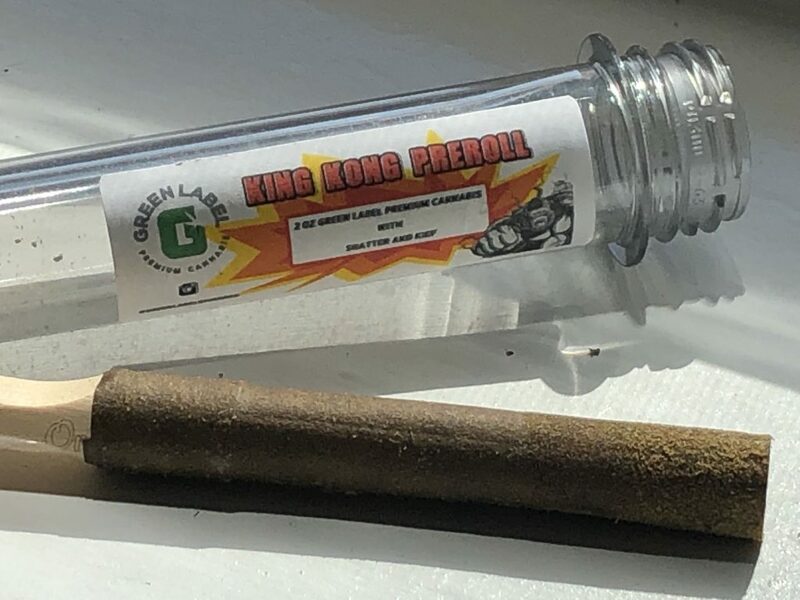 2 grams of Green Label Grinders‘ locally grown flower and kief in a blunt wrap with a wooden tip. My goodness. You can easily fit a roll of nickels in that tube and the King Kong Preroll takes up most of it. You’re gonna need a friend or four to crush it. Or savor it for yourself for days. I won’t tell anyone. How could I? I’m just an internet spirit. A Ghost in the Machine, if you will. No one took that yet, did they?